Parkinson's disease16 afflicts 1.5 million Americans with an additional 60 000 cases diagnosed each year (see 6.08 Neurodegeneration). The cardinal symptoms of Parkinson's desease include tremor, bradykinesia, rigidity, and postural instability, the result of the loss of DA-containing cells in the substania nigra. Parkinson's disease patients also suffer from a variety of nonmotor symptoms including sleep disturbance, depression, and dementia. As with AD, Parkinson's disease is a disease that predominately affects those over the age of 65; however, an estimated 15% of patients develop symptoms before the age of 50. Diagnosis is made based on neurological examination with imaging methods used primarily to rule out other conditions. Response to the gold standard of Parkinson's disease treatment, L-dopa, is a diagnostic criterion for this disease. Parkinson's disease is effectively treated early in the course of the disease with DA replacement therapies that include the DA precursor, L-dopa as well as direct-acting DA agonists, e.g., apomorphine, bromocriptine, pramipexole, and ropinirole, MAO-B inhibitors, e.g., rasagiline, and COMT inhibitors tolcapone and entacapone. While remarkably effective during the first few years of treatment, these approaches to enhancing DA availability loose efficacy as DA neurons die and ultimately lead to a variety of motor complications including disabling dyskinesias, motor freezing, and on-off fluctuations. Recent efforts to better control the temporal aspects of DA replacement have shown promise in reducing these adverse effects as evidenced in success of L-dopa/carbidopa/entacapone combination therapy. 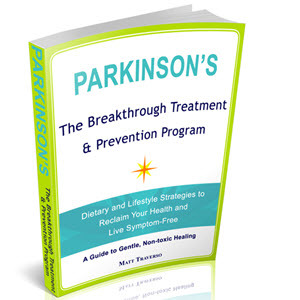 Overall, the prognosis for both AD and Parkinson's disease remains poor. While palliative treatments can provide some relief early on, the process of neurodegeneration will ultimately progress. The clear need for effective neuroprotective or neurorestorative approaches is hampered by an incomplete understanding of disease etiology. The fact that a number of genetic loci are associated with familial AD and Parkinson's disease has driven considerable efforts directed at understanding the discrete cellular mechanisms responsible for neuronal death in these disorders. Such mutations account for only 10% or fewer of diagnosed cases, the remainder being idiopathic. It is also becoming apparent that neurons do not die for any one reason but rather succumb to a complex array of insults including aberrant protein processing, proteasomal dysfunction, oxidative stress, neuroinflammation, and excitotoxicity. Therefore, while a mutation may predispose a neuron to die, targeting that mutation may have little or no effect in the established disease state. The numerous failures in the clinic indicate that major discrepancies in the ability to preclinically model the interrelated mechanisms responsible for cell death in these disorders may provide a currently insurmountable barrier to progress. Certainly, the utility of the various single, double, and triple transgenic animals that reflect aspects of the disease process show little utility in the human condition. 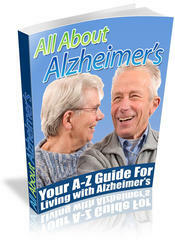 In addition to AD, VD, DLB, AIDS dementia, and Parkinson's disease, there are a large number of neurodegenerative conditions that can cause dementia. While these disorders can be collectively referred to as non-Alzheimer's dementias, they do not all share common features or underlying causes. These include dementia due to Huntington's disease, Pick's disease, Creutzfeldt-Jakob's disease, stroke, and head trauma.